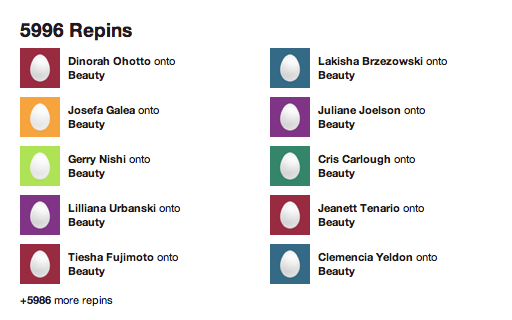 Spambots trick Pinterest into promoting pins. Here’s how you can avoid getting duped. Even the casual social-media user knows how to detect the tell-tale signs of a Twitter spambot. However, finding the same thing on Pinterest proves far more difficult. Since Pinterest’s algorithm rewards and promotes pins with the most likes and repins, all Pinterest bots need to do is work together in swarms. When bots are consistently liking and repinning one another, it’s hard to tell the difference between that and genuine user activity. For one spammer, an Amazon affiliate who goes by final-fantas07, the process is simple. The spammer has mobilized thousands of bots to promote dresses and boots on Amazon. Blogger Matt Collins, who writes at Total Pinterest, tipped the Daily Dot off about this particular mass spammer. After browsing Pinterest’s Popular tab, which is meant to showcase the network’s most well-liked pins, Collins noticed that photos of a dress or pair of boots with a white background consistently led to the same Amazon-affiliate address. While each of these pins appears to be highly popular, what they have in common is that they all trace back to a suspicious looking Pinterest profile—with no photo (or a stock photo of a model), an odd-sounding name, and a linked spambot Twitter account. (Some of these spam accounts have even been suspended.) And, of course, each one links to the same Amazon-affiliate account: final-fantas07. And those four pins we just linked? We found them at the top of the Popular tab in less than a minute. Pinterest can’t tell the difference. 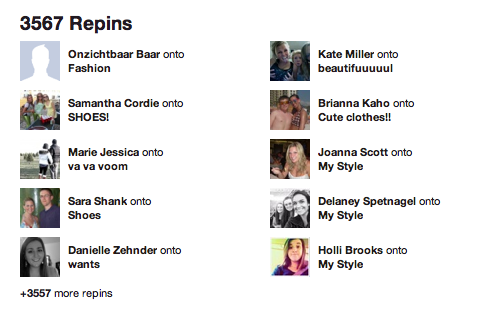 So, how do you know you’re not spreading Pinterest spam? Here’s one Pinterest spambot with all the signs: an unusual name, no profile photo, a link to a suspended Twitter account, and five empty boards. Plus, one board with an enormous number of pins, 751 at the time of this screenshot. If the strange sounding names don’t give it away, the lack of profile photos should. 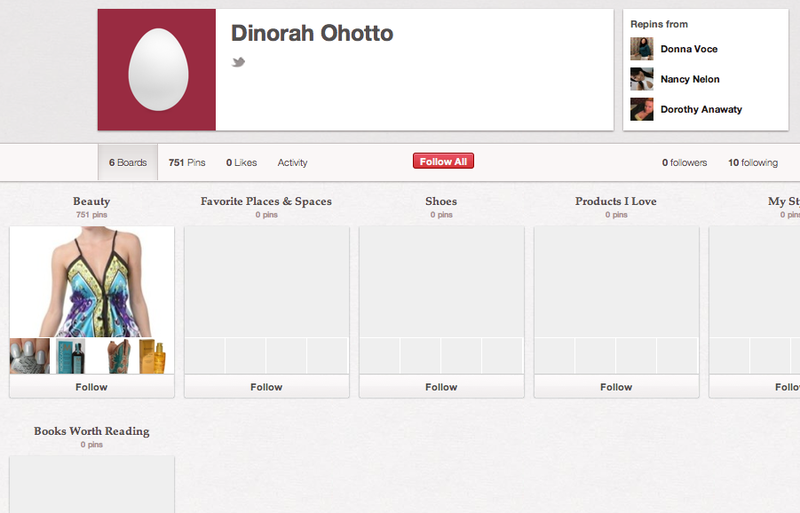 Final-fantas07’s bots are so prevalent that it’ll no doubt be just a matter of time before Pinterest shuts them down. But as more sophisticated spammers arise, we hope Pinterest develops a strategy to keep them off the network.